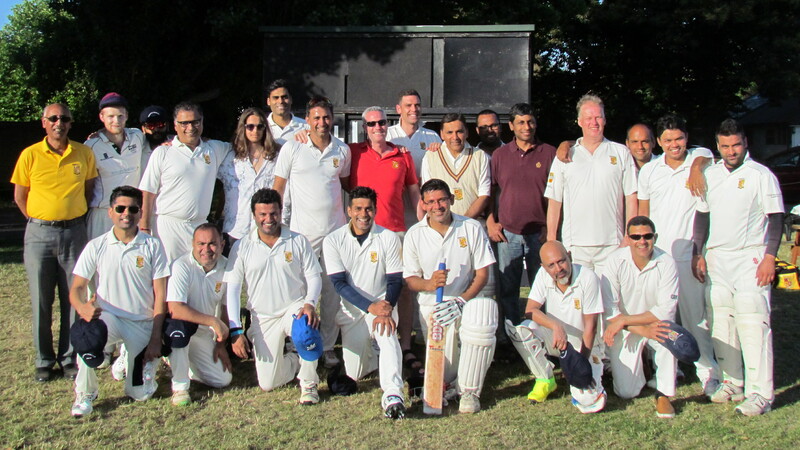 Following on from the hard-fought draw on Sunday, KCC and KCC India backed up with an evening 20/20 on a sun-bathed Barnes ground. Our visitors were all dressed in pristine whites, warming up vociferously under Deepak’s watchful eye some 30 minutes before the start. We on the other hand were using all platforms of phone messaging to ascertain exactly where all our late players were. Unsurprisingly, many of them were drawn into the dark web that is the Hammersmith roundabout from which we all know there is no escape. Matthew had the right idea, getting out of his still ticking Uber to walk across the bridge and continue his Uber journey on the other side. 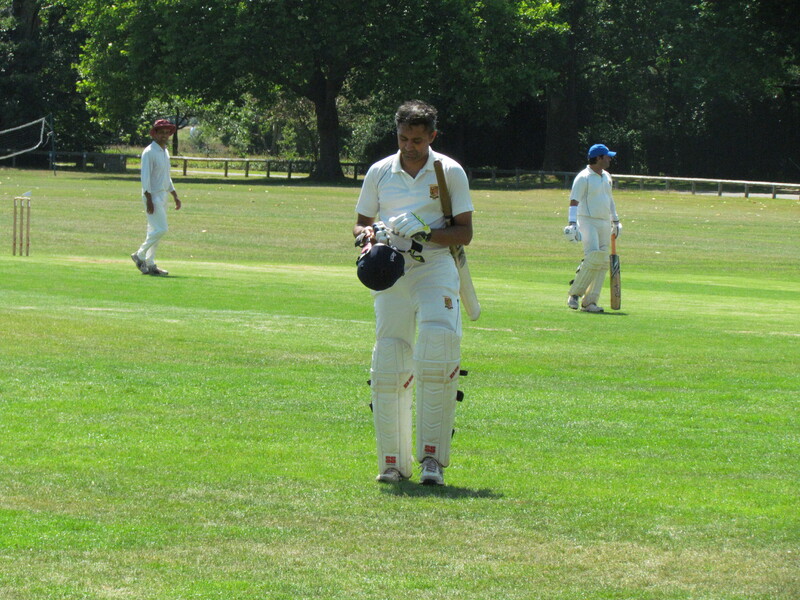 Onto the cricket, Deepak called correctly and rightly decided to bat. Very good call and after a great opening stand KCCI were 90/0 off 9 overs with 5 bowlers already used by a despairing Tim. Ball thrown to Matthew who hasn’t played much cricket of late, but was obviously energised by his earlier stroll over the Thames. 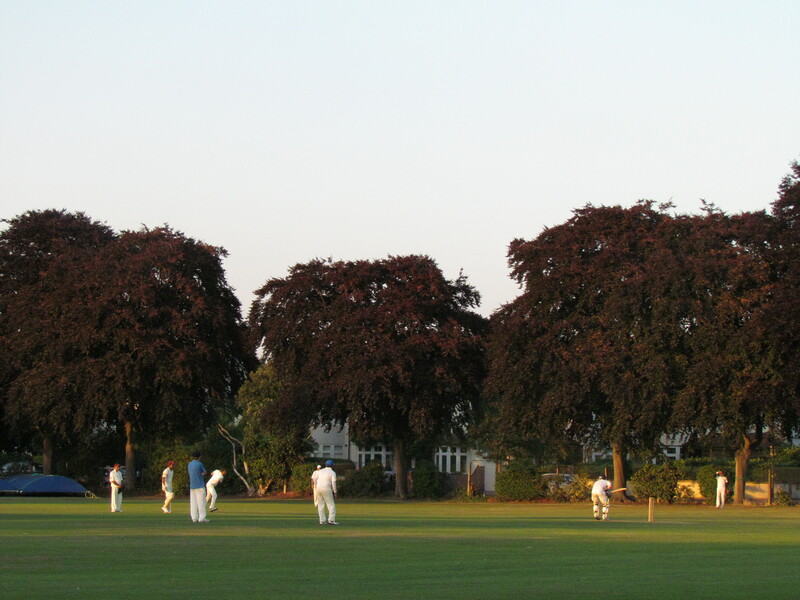 Boom, 2 wickets in 2 balls (the second a very sharp catch to Ledger) and the whole complexion of the match changed. The incoming KCCI batsmen were suddenly tied down, and the returning spells of Wajid, Neeraj and Saikat were much improved. Matthew though was the star bowler. Not content taking just 2 of the top order, he knocked over the other 2 top order batsmen to give a recurring theme to top of the scorebook. 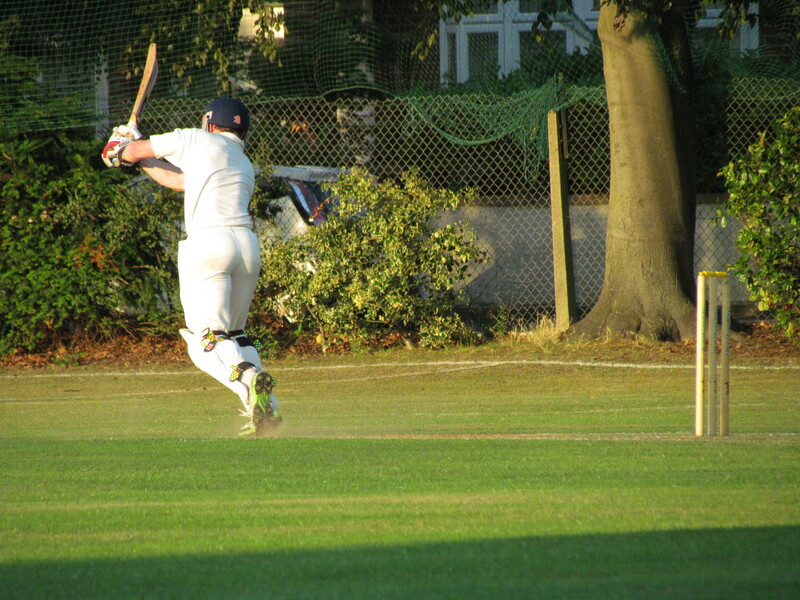 4 for 16 off his 4 overs. 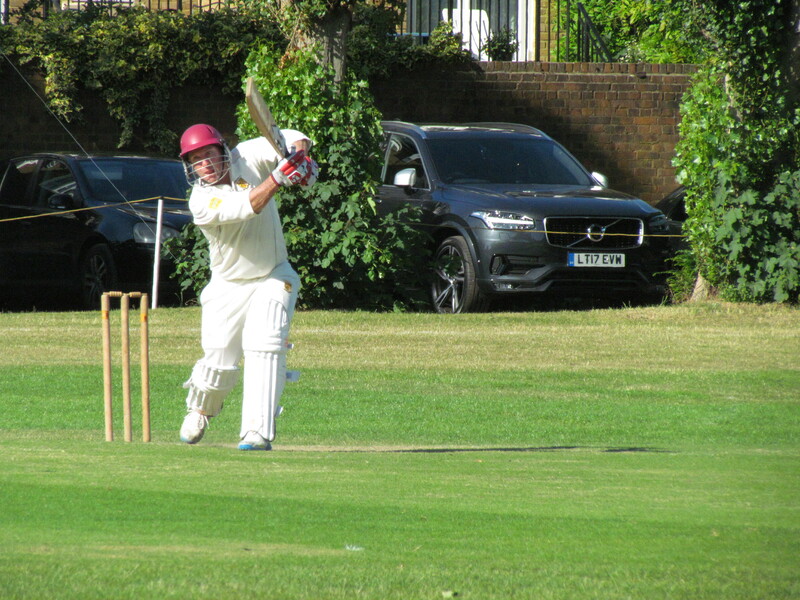 KCCI finished on 155 from their 20 overs, which we all suspected was 30 runs short of what was required. Tim and Kamrul opened up for KCC. 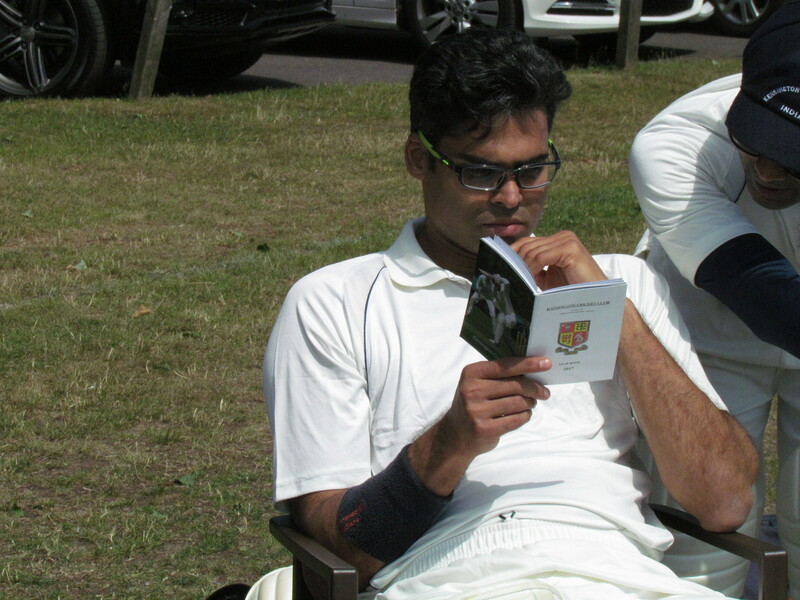 Yogi, fresh from a 4 wicket haul on Sunday, started off for KCCI. 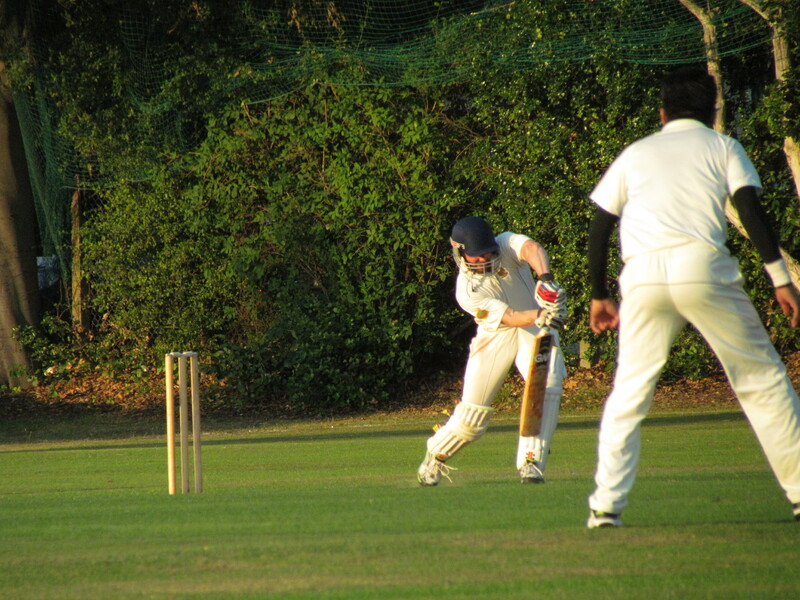 Unfortunately for him, Tim took 16 from his first over and the tone of the chase was set. Even with Deepak removing Kamrul for a duck, Saikat and Tim continued the chase untroubled. Boundaries were flowing from both batsmen and it was obvious that a third game in four days had begun to take its toll on a tiring KCCI attack. 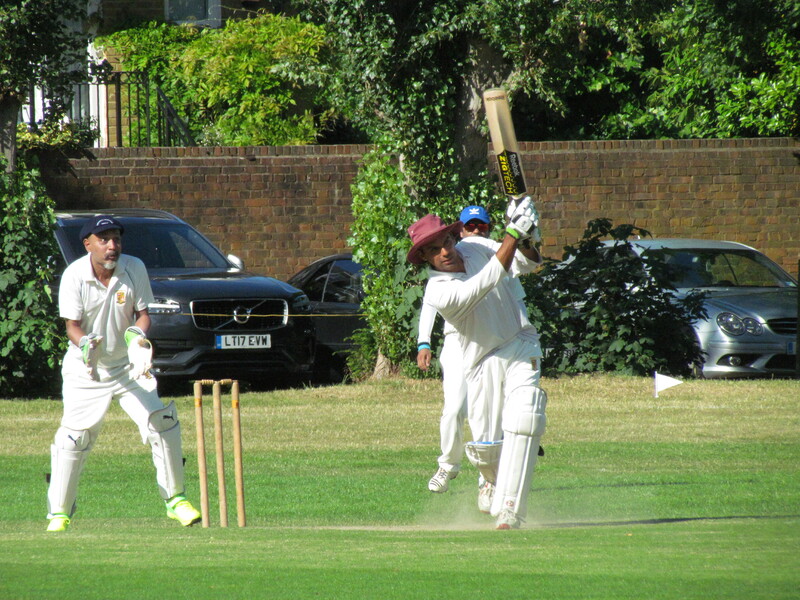 Saikat was dismissed for a run a ball 33 just before the end, but a boundary to Tim through mid-on brought up his century in just 59 balls, and crucially the victory was secured with more than 3 overs to spare. Although we could not be the gracious host on the pitch, it was off the pitch where we showed our visitors the best of KCC. Sunil and Manju hosted a superb dinner in their back garden where the drinks and conversation flowed late into the night. A memorable evening for all lucky enough to be present. 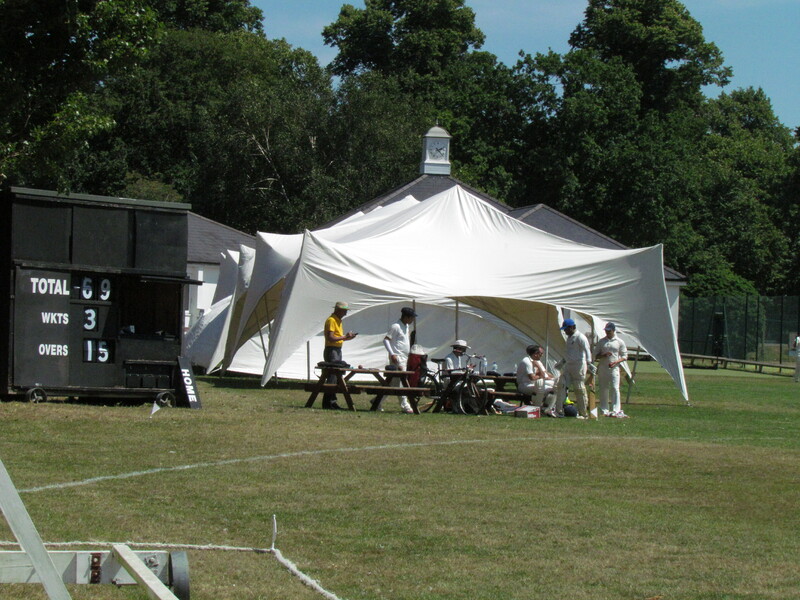 Sunday 2nd July, 2017 – a very important date for the Kensington Cricket Club’s history. 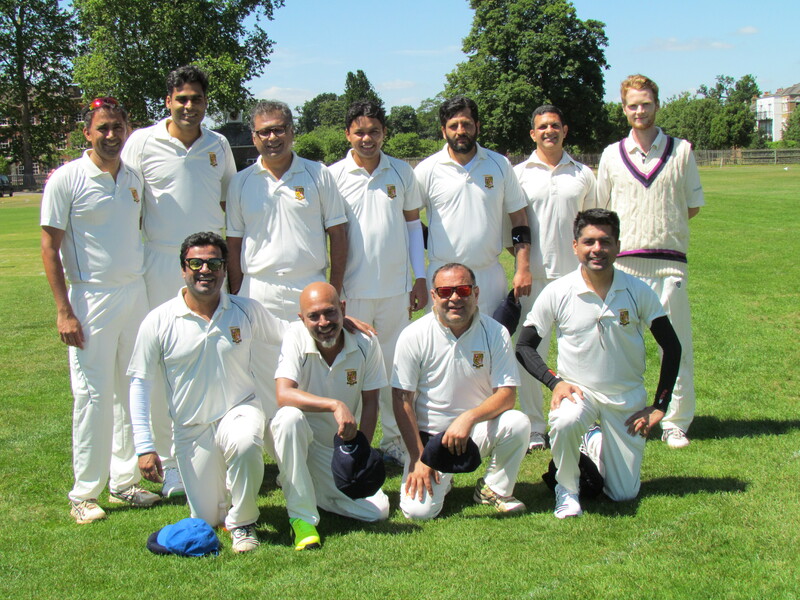 On this day we hosted KCC India, the affiliate formed recently by our very own Deepak Ramachandra leading them on a tour of England. 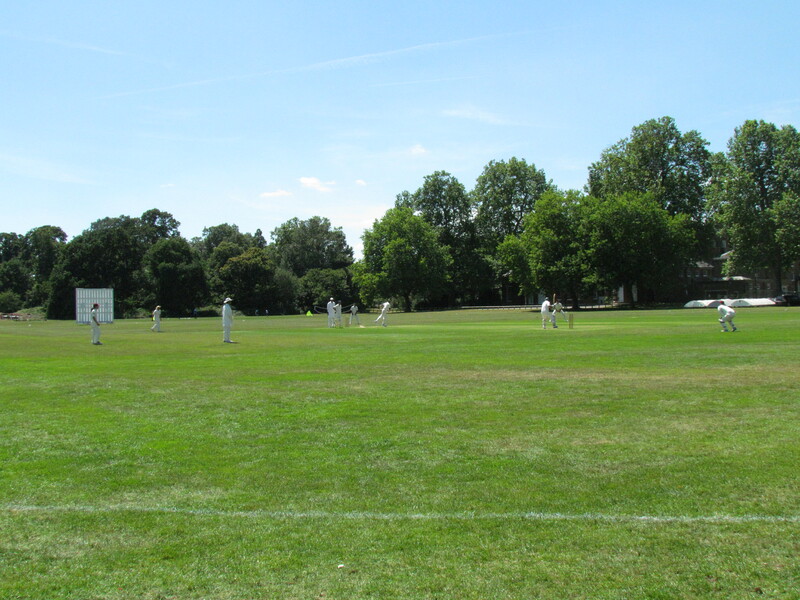 KCC India faced its mother club in the lovely surroundings of NPL Teddington. Deepak won the toss and elected to bat. 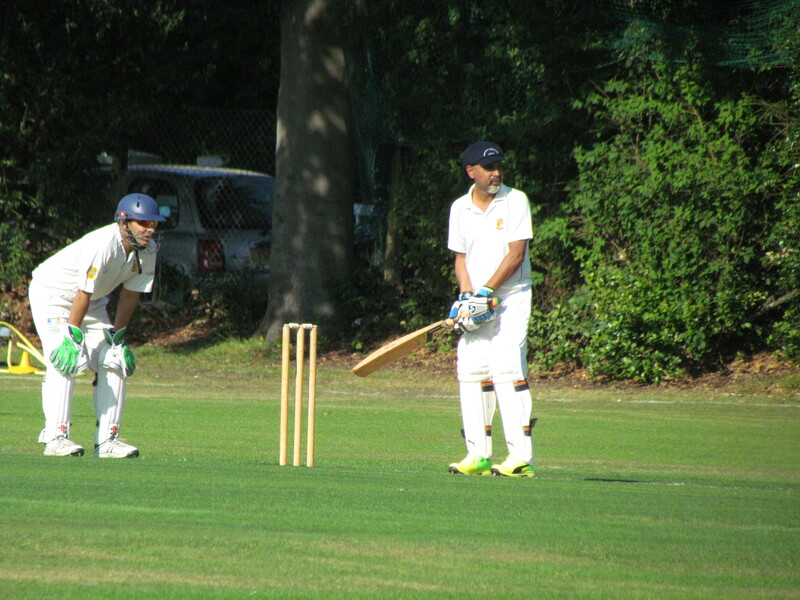 Both openers did well to negotiate the early movements of Saikat and Amit Shanker and safely reached 44 for no loss. Then Saikat produced a magical delivery to clean bowl Rahul Rege for 26 and followed it up by dismissing the other opener Rahul Sengupta thanks to a smart grab by Neeraj at first slip who also held a more difficult one later in the innings. 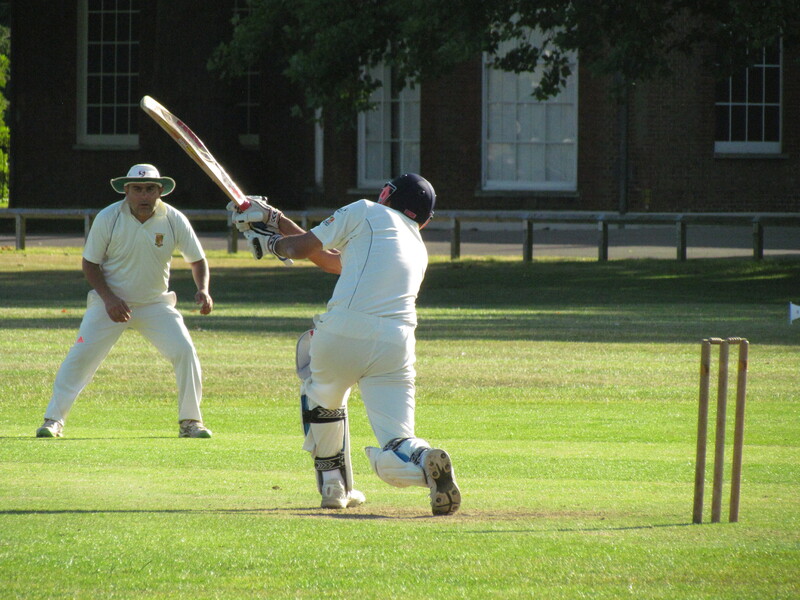 KCC India then experienced a common KCC failing: a middle-order batting collapse! All of a sudden, they lost 3 quick wickets including that of skipper Deepak who was cleaned up by a Wajid yorker. 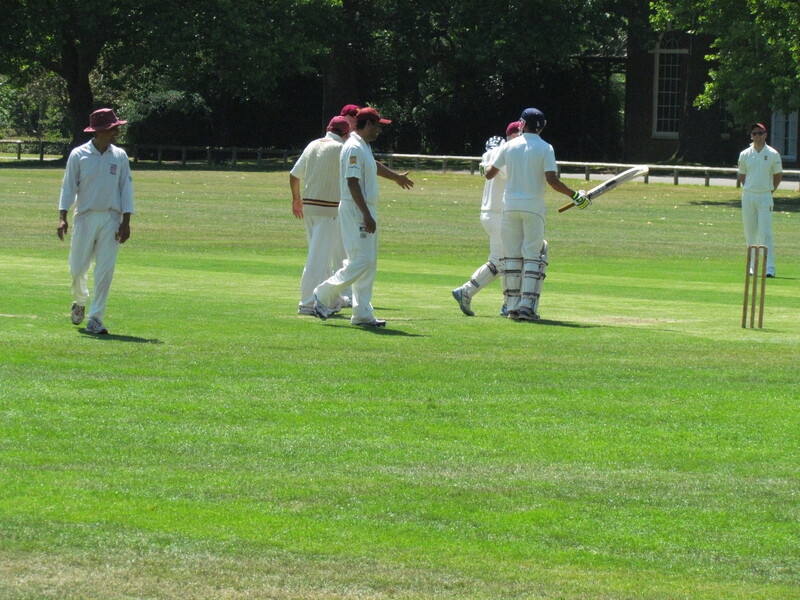 Neeraj and Wes bowled tightly and the runs dried up, each bagging a wicket. 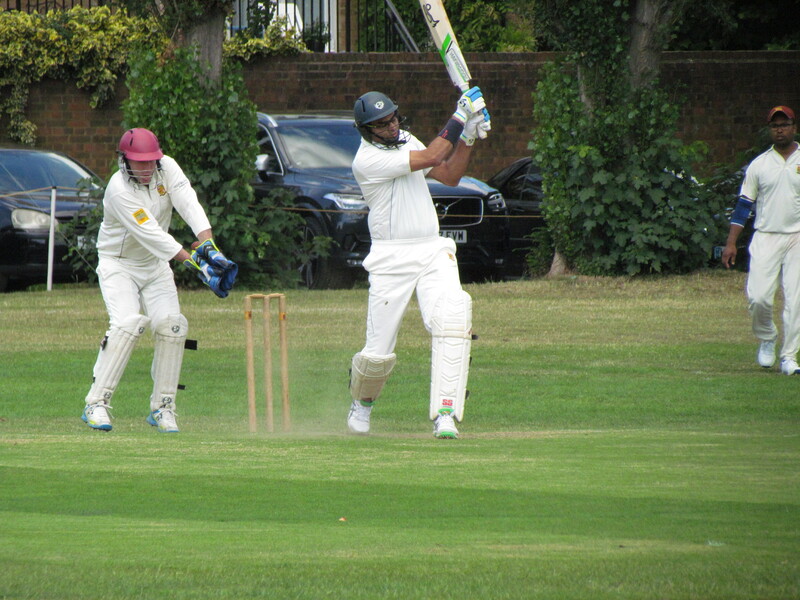 At 112/7 KCC India were in all sorts of trouble as the mighty Prahlad Tanwar joined the calm-headed Yogesh Keswani. 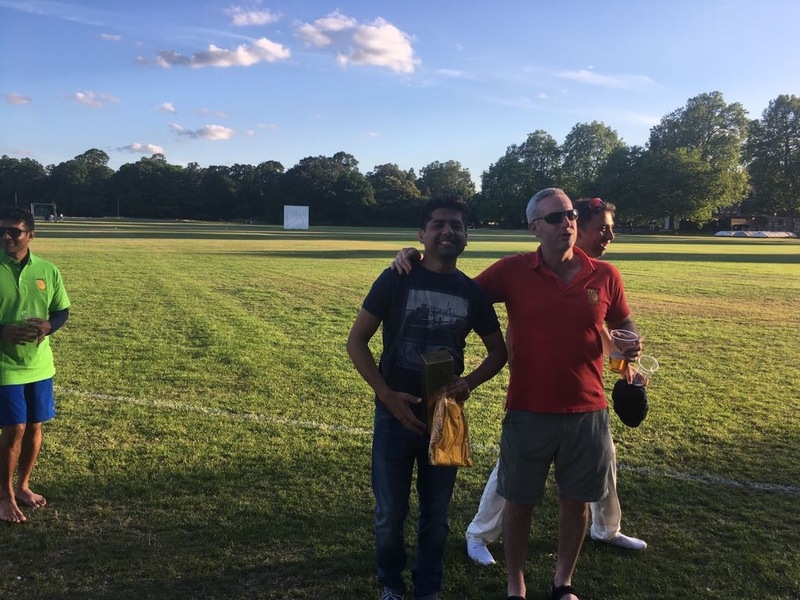 These two batsmen produced the best partnership (79) of the match by taking full advantage of some wayward bowling and moved the score to a respectable 191 when Prahlad finally fell for a rapid 56 off just 42 balls. 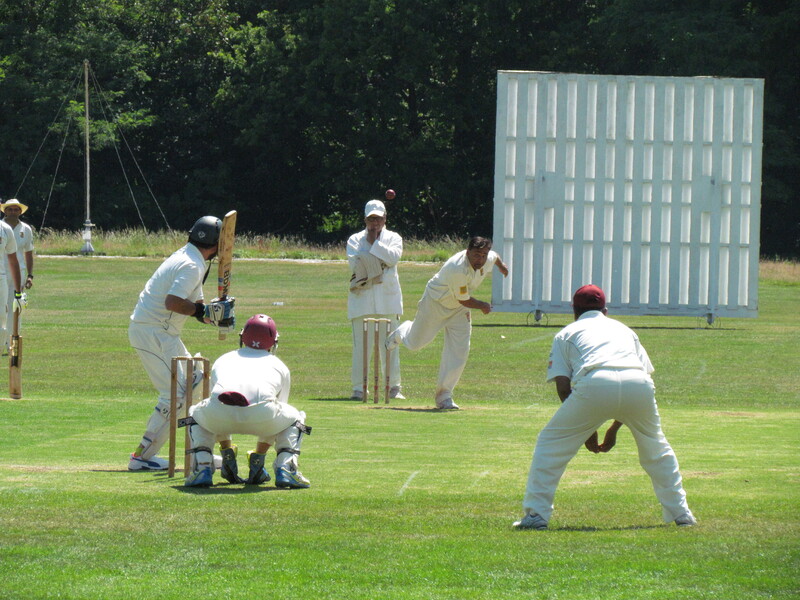 Yogesh remained unbeaten on 39 when Deepak made a sporting declaration on 210. Tea was duly taken. 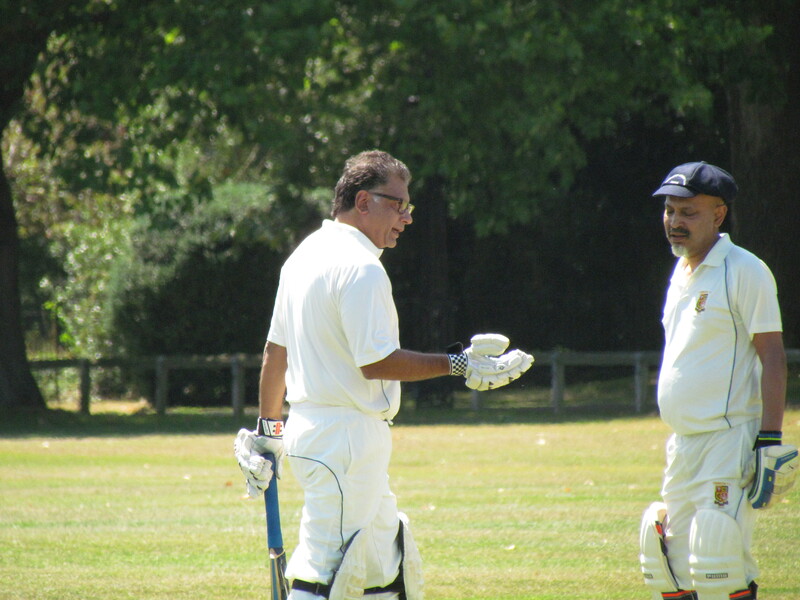 David Behar and Amit Shanker opened the batting for KCC and laid a good foundation, albeit with great caution and due respect given to Deepak’s accurate first spell. 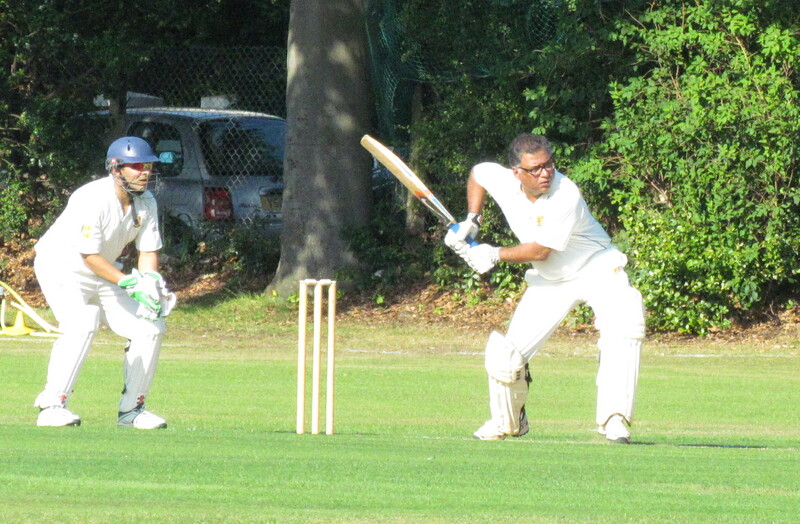 At 40, Amit departed by edging one behind. 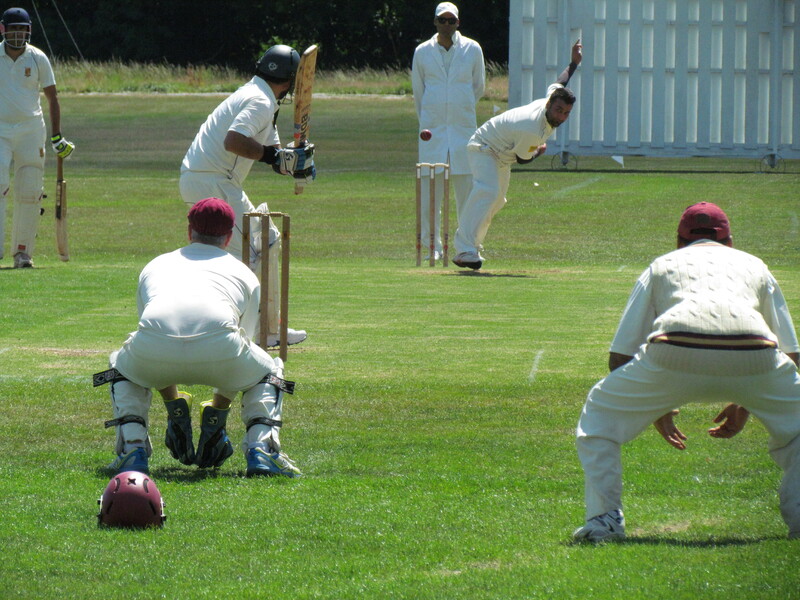 Soon after, the out-of-form David became impatient and charged the leg-spinner, only to be caught at mid-off. 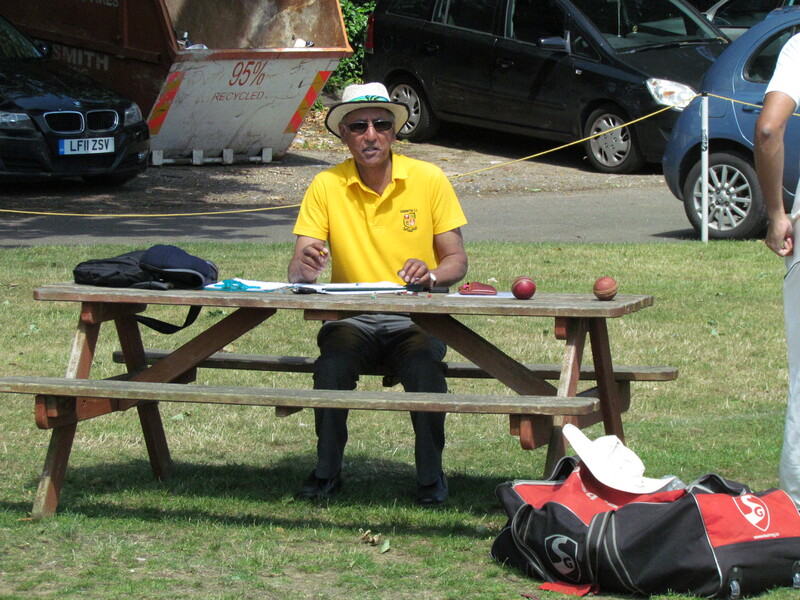 Stef Nayar did not trouble the scorer as KCC slid to 51/3. Steady heads were needed and both Jamie and Chris did a good repair job. At the end of 25 overs, we were 98/4. 113 runs required in 15 overs. Acceleration time, and skipper Jamie tried to do exactly that with Kamrul but fell for a well-made 39. At 111/5, the win seemed to be running away from us due to some good bowling from KCC India’s Yogesh and Sashi Someshwar. 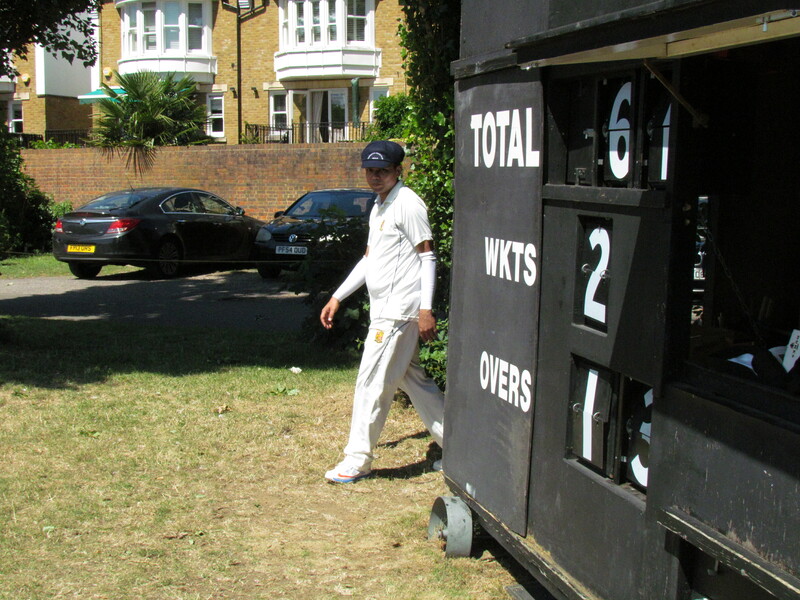 Then, Kamrul and Saurav formed a brisk 57 run partnership hitting multiple sixes and fours. 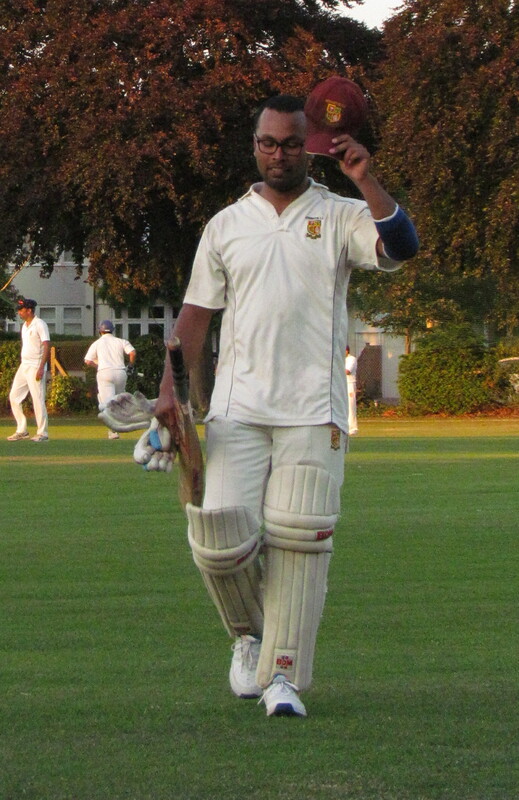 A win for KCC seemed very possible until Kamrul was undone by a Yogesh special. 168/6, 43 runs required from 30 balls. Still very possible considering Saurav was going strong and with more firepower yet to come. 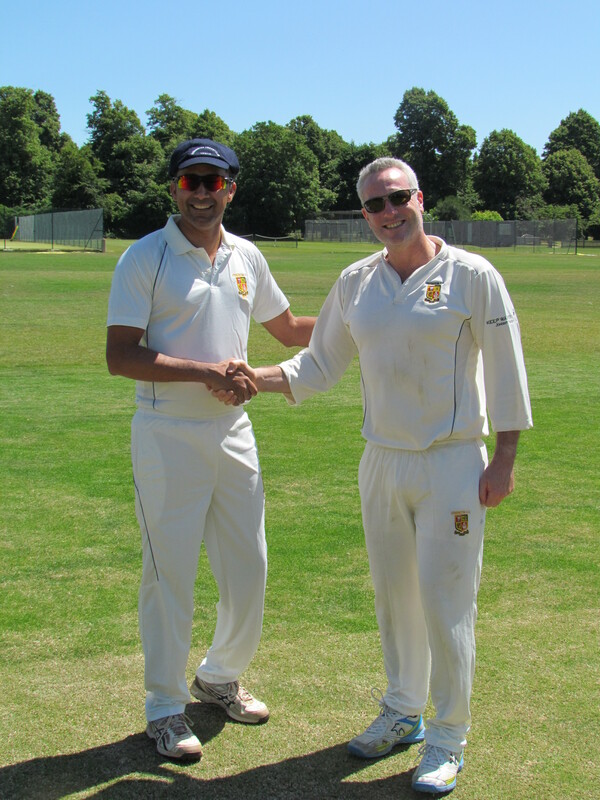 However, KCC India’s death bowling was nothing short of outstanding with the return of Deepak and Yogesh. Scoring runs quickly became more difficult. 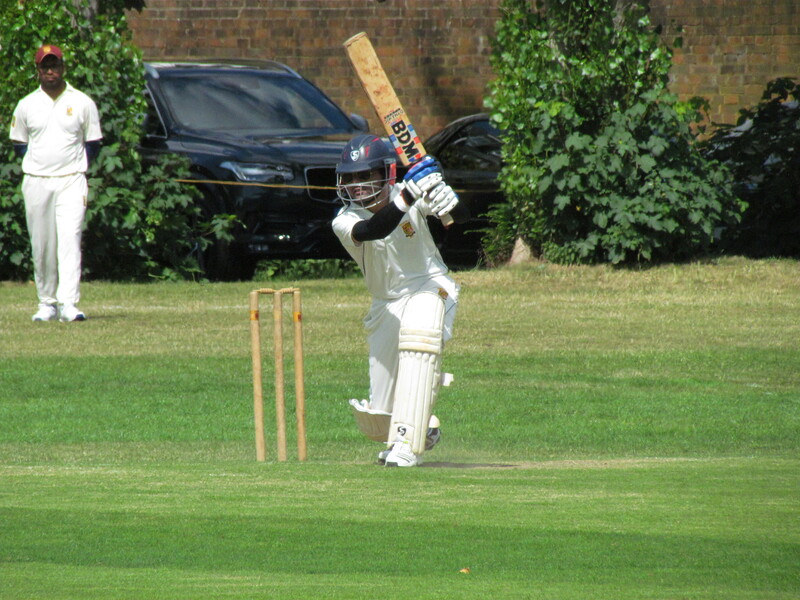 Wesley Johnson became Yogesh’s 4th victim whilst trying to up the run rate. Wajid joined Saurav in the middle. 21 needed off the last over, Deepak to bowl. 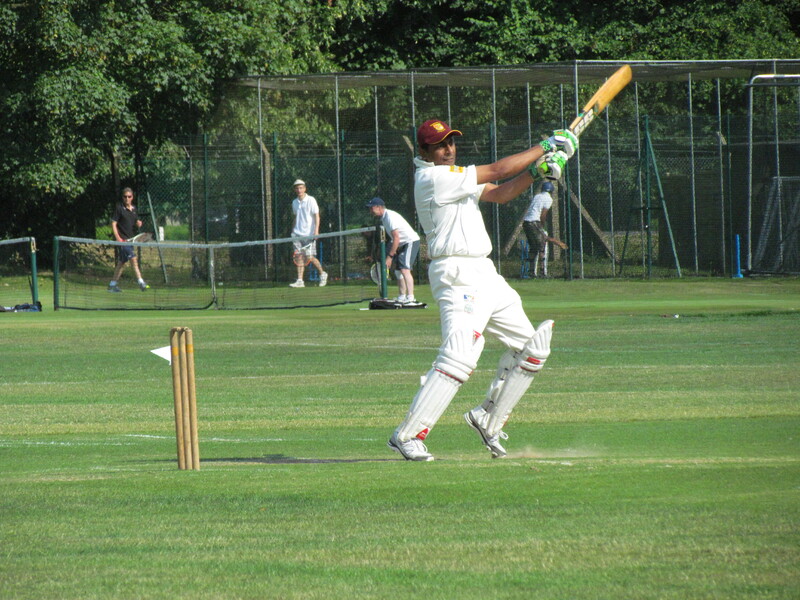 First ball, Wajid smacked a huge six over long on. 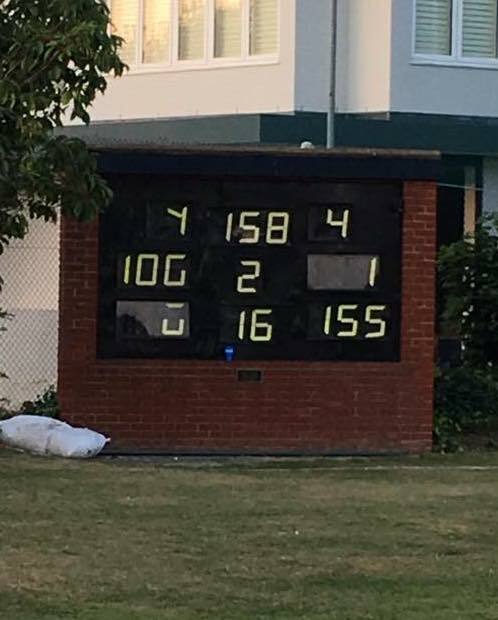 Nail-biting time, 15 needed from 5 balls. Sadly, it proved to be too much for us as Deepak rarely bowls more than one bad ball in an over. We finished the innings 12 short of the target and had to settle for the draw. 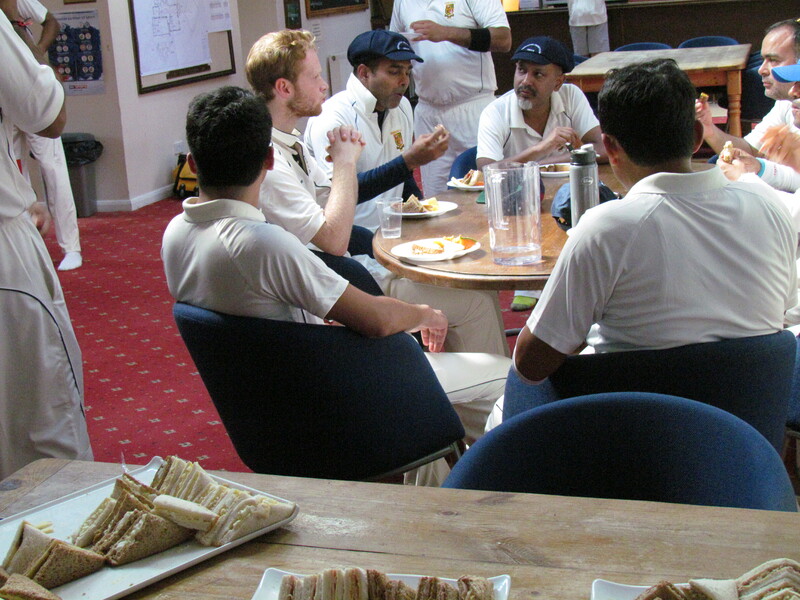 A great game of cricket where both sides deserved to win but in the end the consolidated Kensington was the true winner. Yogesh and Saikat received man of the match awards for their respective side. 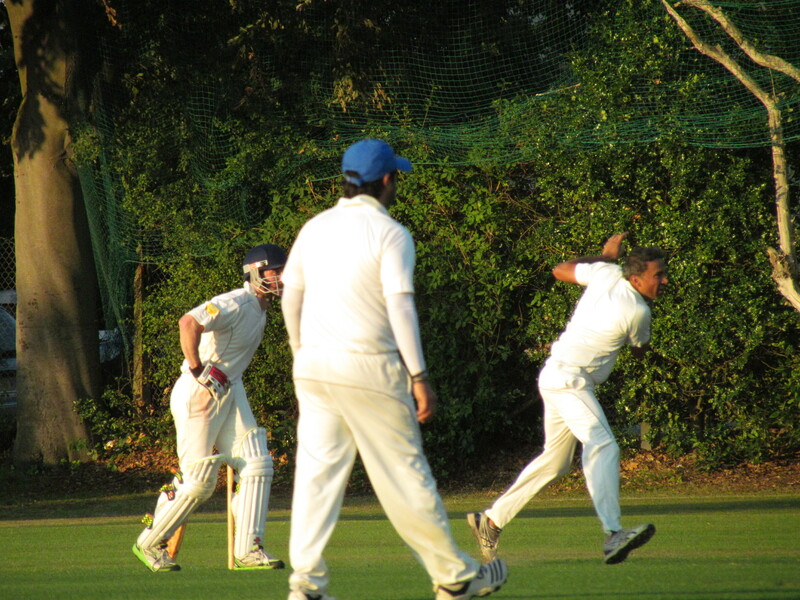 Beers and post-match banters were shared in the balmy, summer evening – a thoroughly enjoyable outing for KCC India on the first match of their tour.